Individual Retirement Accounts (IRAs) are considered by most people as the most beneficial savings plan that should be on top priority when doing an early retirement planning. However, when choosing a retirement plan provider, it’s vital to understand that though the companies have one objective and target the same audience – they typically work in essentially different methods. There are providers that market their income replacement funds for those who desire to complete multiple functions simultaneously. Their chief aim is to achieve market growth as well as the income on your invested principal. These goals provide you the opportunity to pick the funds that is appropriate to the year in which your investment portfolio will be liquidated. Most retirement funds come with an “annual target” rate. This is the percentage of your initial investment that you should get back annually. The providers rely on the market growth to achieve their offered targets for the years to come. If you are investing after retirement, you may look for funds that do not have liquidation dates. These grant you the opportunity to sell your shares anytime. But, you can also keep your funds as long as you wish because there are providers that offer to manage your funds indefinitely. There is one critical catch that is incorporated to funds for retirement despite their differences in approach. Distinct from fixed-payment annuities that give out fixed, steady payments based on the contract terms, these funds don’t pledge on anything, even their projected target payments. Thus, you must understand that if your funds’ holdings failed to make enough money from their dividends, such as bonds or stocks for a specific period of the term, your account may need to return your capital to achieve its distribution target for such year – resulting to getting lower payouts the next year. 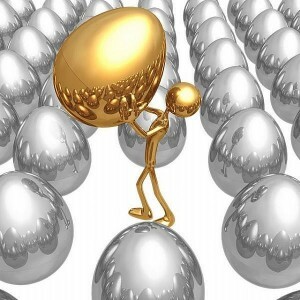 Income funds for retirement have the same caveats. And there is very little information that you can utilize to assess and find out if these funds perform real well in real life. That’s why it is very important to study the back test of any provider’s new offering so you can get an idea about how they have worked in the past. Remember though that these data do not guarantee future financial growth. The best way to deal with this is to consider getting an annuity as a component of your overall investing strategy. In addition, make sure that you select a dividend payout rate according to your retirement requirements. When you are all set to invest in retirement income funds, you should be aware that there are several alternatives to choose from. It’s always advantageous to study and examine the plan, its risks, as well as limitations you will have to manage. This step will make it easier for you to narrow down your choices. 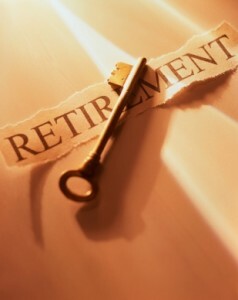 You can seek the assistance of a financial advisor who can help you plan for your retirement proficiently. Take advantage of the online sources providing tips and tricks on portfolio-building and hints about the best IRA company. It would be beneficial if you’ll learn about the steps on gradually reducing your equity exposure as your retirement approaches. The funds for retirement give you a good insight on how you can perform asset allocation appropriately, but the only way to make the most out of these funds is to get yourself educated.